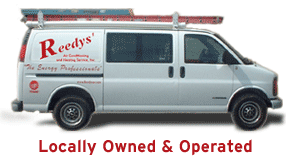 Reedys' Air Conditioning & Heating Service also honors financing options that are available through Duke Power, Piedmont Natural Gas and others. Contact us and our residential sales representative can answer any questions about available financing and terms. Copyright © 2013 Reedys' Air Conditioning & Heating Service, Inc.